Things went from bad to worse for Joseph Nicalaskey and Cesar Alvarez-Jennings. Not only did the two 19-year-olds (and their two female accomplices) fail to get the money from a pizza delivery person they robbed outside an Anchorage, Alaska home, they also got their charges increased substantially. After stealing the pizza, but not the money, from the delivery guy, he followed them to their hide out and called the cops to come and get them. That lead to a stand-off with the SWAT team as three of the crooks barricaded themselves inside the home. 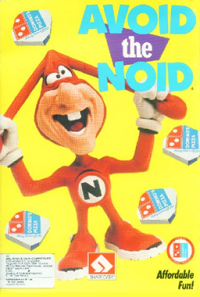 Did we learn nothing from the exploits of the Noid, people? I mean, of the many things the pizza guy might want to tell you, I’d imagine tops on that list is, “Don’t rob me, because it’s not worth it.” You’re not going to get much money, the pizza will probably be cold by the time you get back to your lair, and he’ll probably end up tailing you back home and getting you arrested anyway.